Search the Study Centre Catalogue. MR Estate Agent Plans - PDFs of the paper catalogue for this important resource. For King and Country - the men who Joined Up in 1914 and those listed on the MR War Memorial. The Midland Railway Society Library - titles available to researchers at the Study Centre. Midland Railway Society Members - resources available exclusively to MRS members. 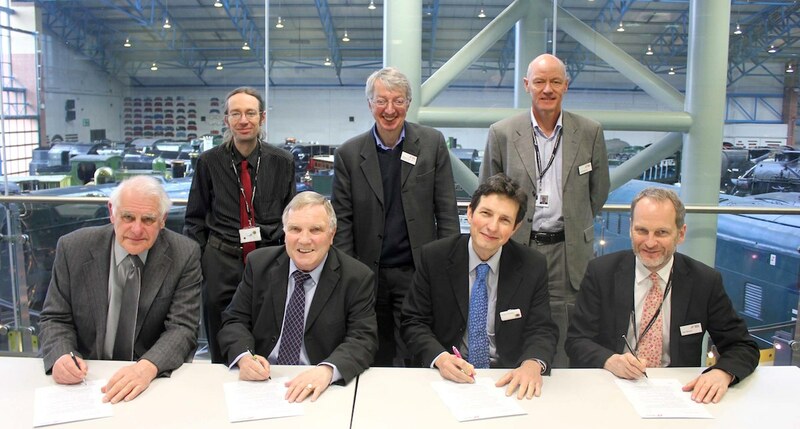 In March 2013 a Memorandum of Understanding was signed, establishing the Partners in Excellence. 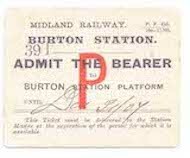 This cements the relationship between the Midland Railway Study Centre partner organisations and the National Railway Museum, allowing a two-way exchange of information, resources and even objects. All parties involved have a shared aim of preserving Britain's railway history, and just as importantly, making that history freely available to all. Share information about their respective collections and make them accessible both physically (through 'Search Engine' at York and the Study Centre at Derby) and on-line. Improve access to collections by developing catalogues, indexes and finding aids. Identify a network of experts who can share their knowledge including identification of research interests. Make images and copies of material available. More than those formal agreements, it establishes a channel of communication between the experts at York and those of us involved in the Study Centre, to ensure that the users of both facilities get the best possible service. Back row: Tim Proctor, Bryan Gray, Ed Bartholomew. Front row: David Geldard, Glynn Waite, Roger Shelley, Paul Kirkman. 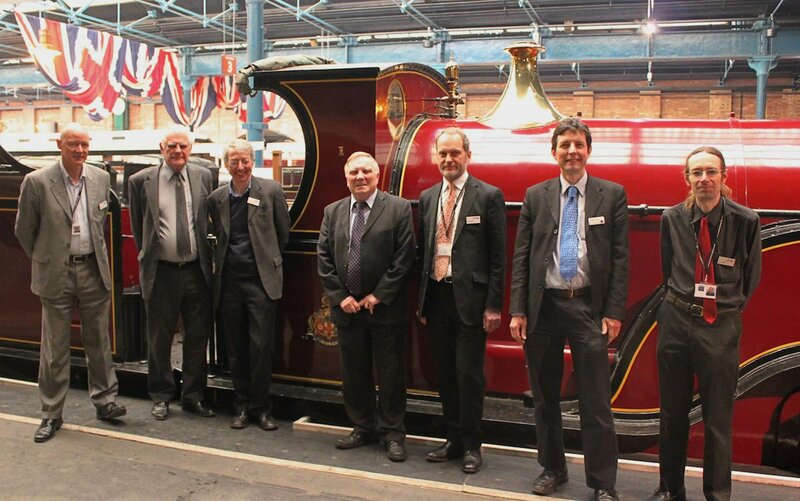 The Signatories in front of the NRM's Midland Spinner.